1963 or 1964 photo at Peshtigo plant of Thomspon Bros. Boat Mfg. Co. 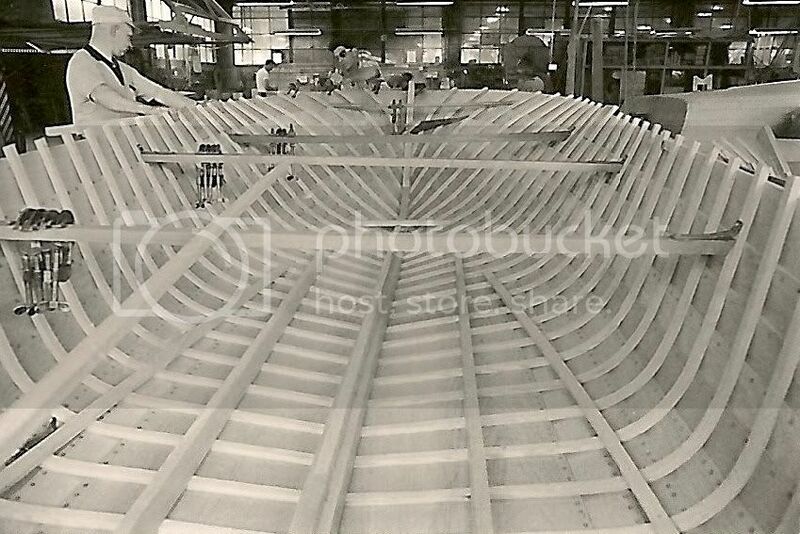 Note the temporary bracing on this boat under construction. At their peak, they were finishing 30 boats per day at Peshtigo!